Addiction and other unwanted habits and addictions can be treated with Hypnosis – get to the root of the problem and stop. Let’s deal with why you need to tranquillise yourself with alcohol. Is it because you suffer from Depression, PTSD, lack of confidence, anxiety or stress? Or do you just get bored? 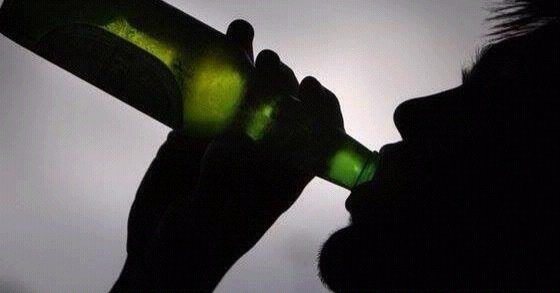 Let’s deal with the reasons why you are a problem drinker. Let’s find another strategy that doesn’t involve killing yourself with using too much booze. It is easy to get into the habit of self medicating with alcohol to “wind down” – but if you find that you cannot do without a half bottle or more of wine or use alcohol to excess then you may have a problem. The important thing is to find substitute strategies for abuse of alcohol and look at the triggers. The approach using Hypnotherapy and NLP is holistic and enables you to stop constantly affirming to yourself that you have a problem with alcohol. It is important to recognise that you have a problem but do you really need to keep saying: “I am an addict.” ? How far ARE you an addict? Could you go a week without any alcohol in the House? Could you last an aeroplane flight without drinking alcohol? If so then you could master this coping habit. It has got out of control and you can learn to undo that habit that you created. You can learn to either control it or stop drinking alcohol forever or just for now. Addressing the reasons why you feel a need for alcohol may well go a long way to enabling your control of the alcohol habit or even putting it behind you. Constantly telling yourself that you “have a problem” – will not DEAL with the problem – you will simply manage it. The habit will seem as if it is always there waiting to ambush you in certain circumstances which could trigger a downward spiral into alcoholism. You need not be a “victim”. First understand your triggers and then find alternate ways to deal with the cravings for alcohol abuse. Treat trauma, depression, anxiety, stress PTSD, low self esteem or whatever drives the cravings. Discover that there is actually no need for self medication with drinking to excess. You can be Captain of your ship. You can accept the consequences of your actions. You can repair where you need repair. You can move forward without problem drinking. You can end your toxic relationship with booze. Work with me. Learn how to be in control – in a sense you have a malfunctioning software program that needs an upgrade – there are many things you could do instead of using alcohol. Learning how to be calm and solution focussed rather than seeing a problem will always help. These two different mindsets lead to very different outcomes: one is a struggle the other is not. In the case of one you regard failure as useful feedback rather than an excuse to drink too much alcohol. If you get stressed or anxious you will understand the mechanism of this and how to overcome worry stress and anxiety or even panic. Who am I and what experience do I have in treating Alcoholism or problem drinking? I am an Advanced Hypnotherapist and NLP practitioner and have worked in Harley Street London W1. I have a breadth of experience enabling treatment of complex combinations of issues that might trigger cravings to drink too much alcohol. I have Practices in Ipswich and Hadleigh Suffolk and Colchester in Essex. If you sincerely want or need to stop a using alcohol habitually, and this is not just showing willing while continuing to abuse alcohol, and you are honest with me, then we will make progress. Can I wave a magic wand and make years of habitual usage of alcohol go away? No! It will take work. I am an Advanced Hypnotherapist experienced in treating alcohol abuse – Hypnotherapy NLP Hypnoanalysis and Common Sense is what I offer. When you are a problem drinker you hypnotise yourself to drink in certain situations – our job is to undo that self destructive, and often lethal, self hypnosis. We know the consequences of too much alcohol – act now while you can still control it.